Robert is a trial lawyer. Over the past 28 years, Robert has represented thousands of individuals, families, and small businesses in their fight for justice. Robert has tried over 80 jury trials and mediated/arbitrated hundreds more cases. 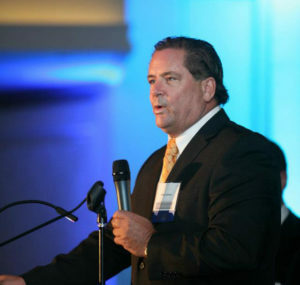 Robert began his legal career with a large law firm in Orange county. Robert quickly discovered however, that “large firm” lawyering was not for him and he decided to come home to San Diego and start his own law practice. After working on a variety of cases, Robert quickly found his niche, representing individuals in severe personal injury and traumatic brain injury cases. A graduate and former instructor at Gerry Spence’s Trial Lawyer College, Robert knows the art and science of getting to the heart of the story and presenting it to a jury, arbitrator, and/or mediator. Robert has served as the lead liaison council for the Rice Canyon Fire, one of three consolidated cases comprising the 2007 San Diego County wildfire cases. The Judge supervising the case has characterized it as the largest single case in the history of California. Robert has helped supervise and consolidate settlements of over $1.8 billion against the responsible parties.